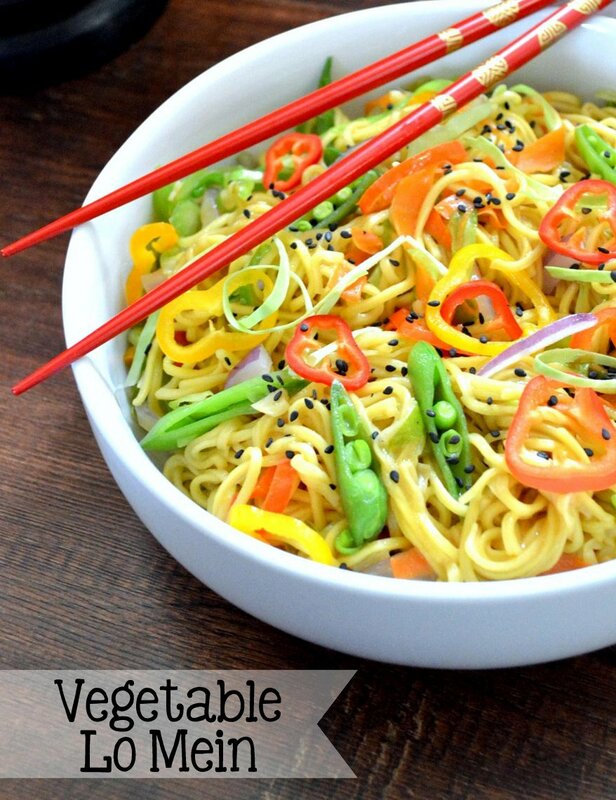 Fresh ginger, garlic, soy sauce, honey and sesame oil come together beautifully in this dish to coat perfectly-cooked noodles and quickly-sautéed vegetables. A sprinkling of black sesame seeds as a garnish brings a nice textural element to finish off the dish. And, while the chopping of the vegetables does require a short bit of time (maybe five-to-ten minutes), everything comes together rather quickly once cooking begins. One of the things that I love about this particular dish is that it can be eaten hot, at room temperature or cold. This would be a great side dish to serve with my Sweet and Sour Sesame Chicken. In my opinion, the easiest way to go about this recipe is to prep everything before you start cooking. Get all of your veggies washed and cut. Have your noodles cooked and rinsed in a bit of cool water. I even combine the sauce ingredients together in a small bowl before beginning so that I can dump everything in the pan quickly as I go along. Then, all that you need to do is get your wok or pan hot and get to cooking. Heat a wok or pan over medium-high heat. Add in oil. Add in the garlic and ginger. Stirring or tossing constantly, allow to become just slightly softened. (Be sure not to burn.) Working quickly, add in the cabbage, onion, peppers, carrots, peas and celery - stirring or tossing continuously. Transfer noodles to serving platter or bowl(s). Garnish with sesame seeds. Serve with garlic chili sauce, as desired. Eat hot, room temperature or cold. NOTE: Since I thoroughly enjoy fresh ginger, I usually grate in a little additional fresh ginger right before I transfer the prepared lo mein to serving dishes. It gives such a great pop of extra ginger flavor. This step, however, is optional.